No other gift is at once as appreciated and as practical. What's more practical than one sleek tool with multi-functions? 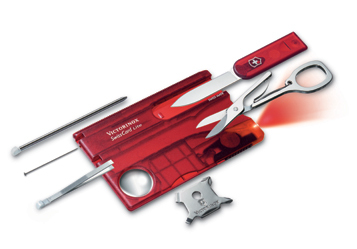 From the credit card-size SwissCard to the rugged, ready-for-anything SwissTool, this gift will send a powerful message of your company's commitment to quality and performance.